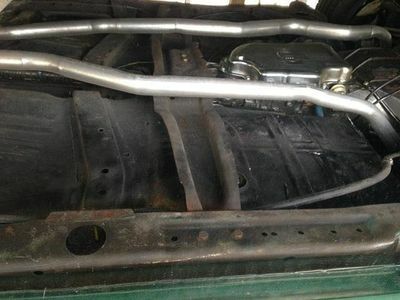 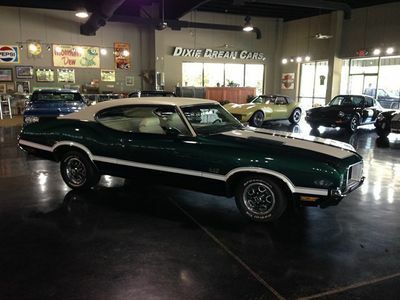 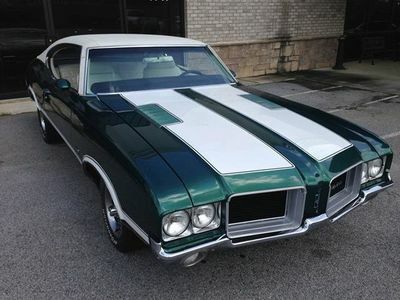 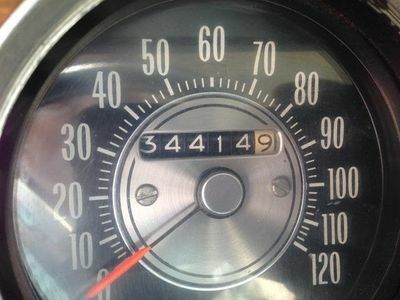 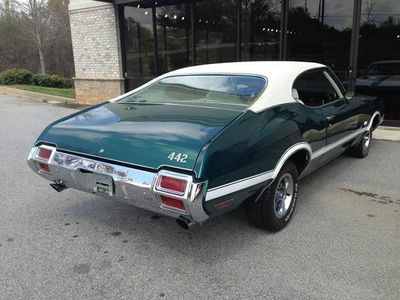 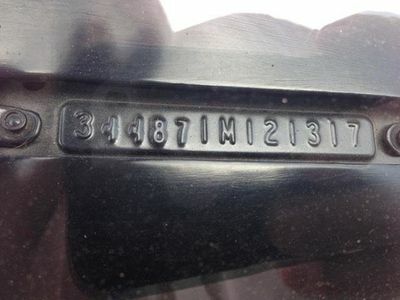 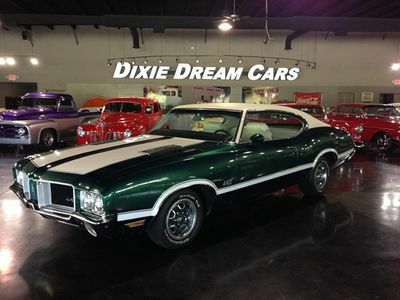 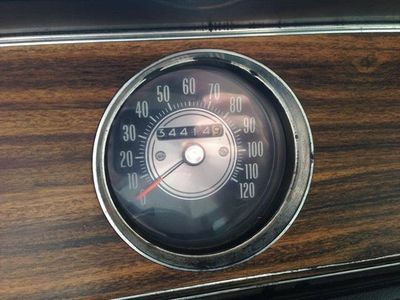 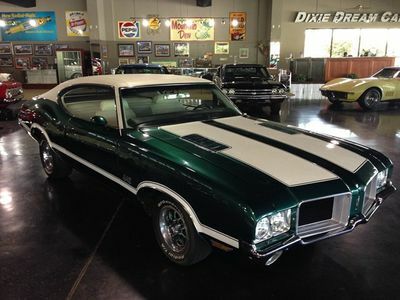 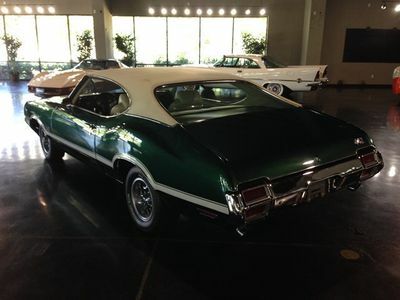 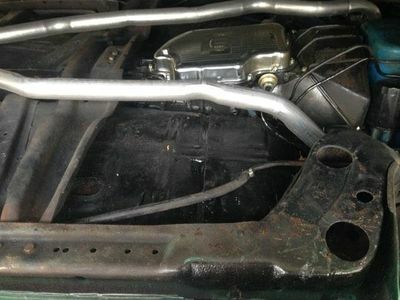 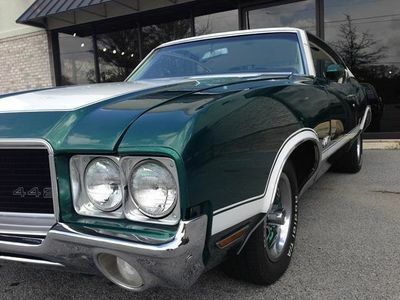 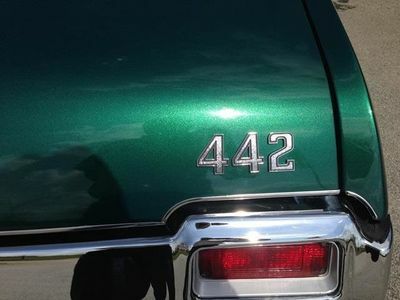 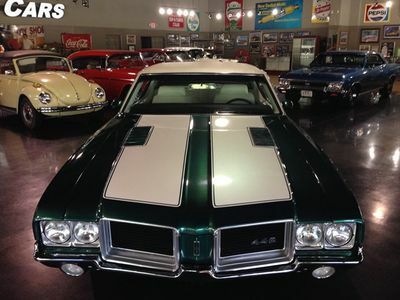 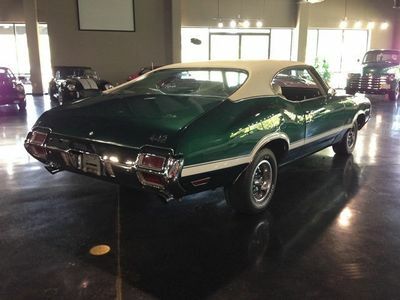 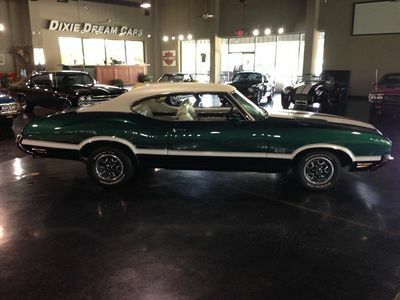 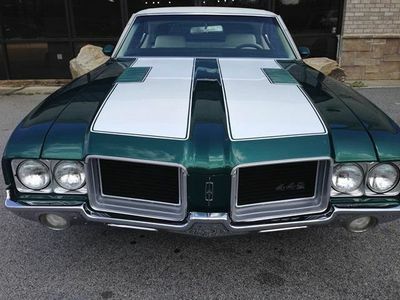 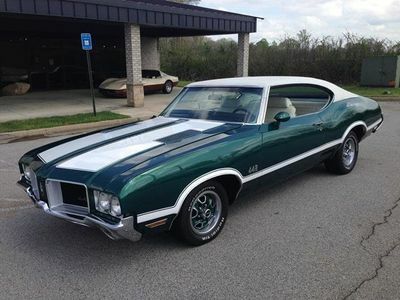 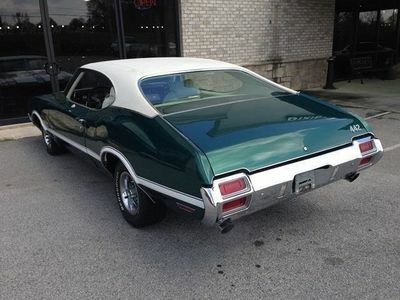 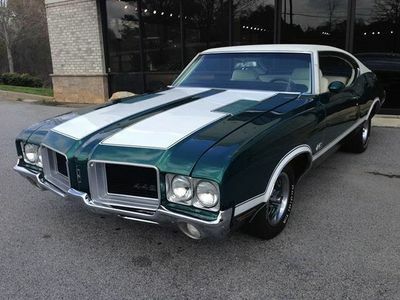 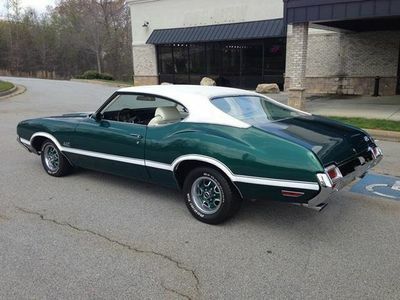 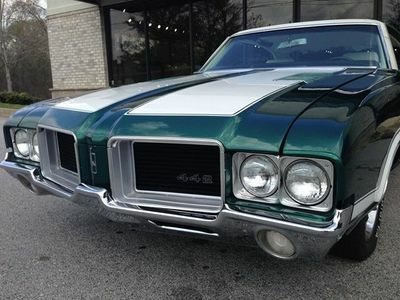 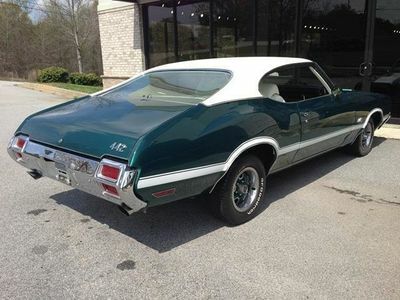 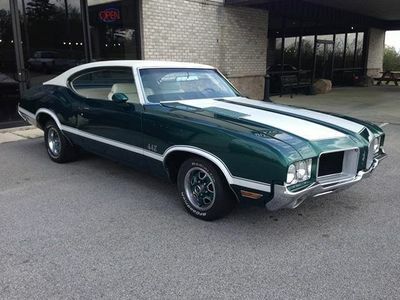 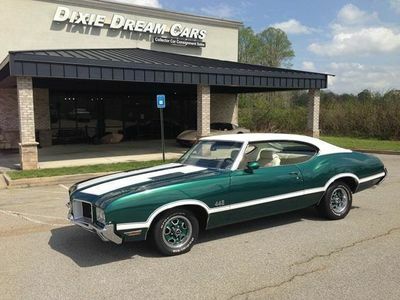 Numbers matching Big Block 1971 Oldsmobile 4-4-2, 455ci Rocket Big Block, 4 Barrel with Dual Exhaust! 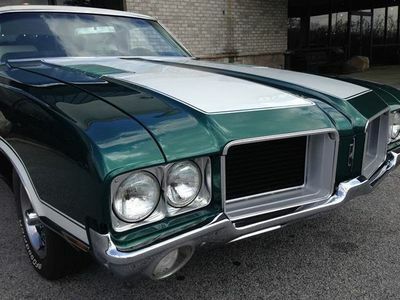 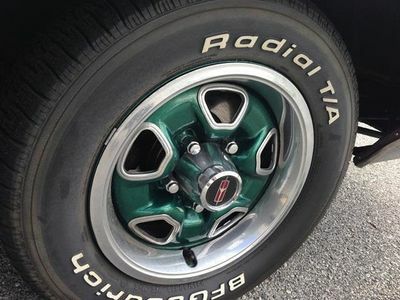 She is a highly optioned, rock solid southern car all original sheet metal and zero rust issues now or ever! 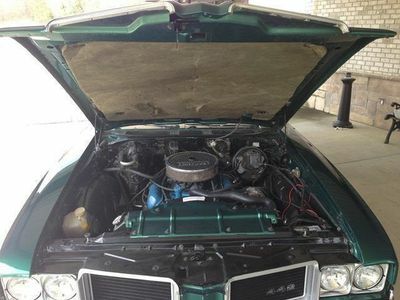 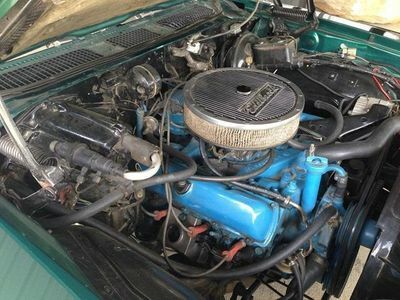 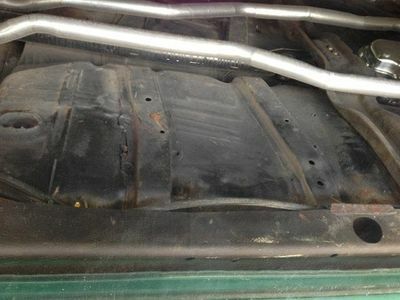 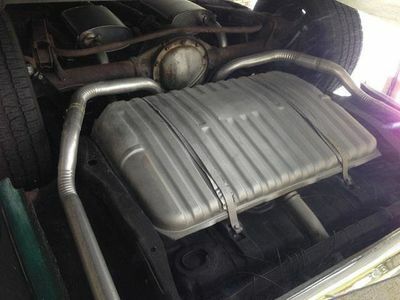 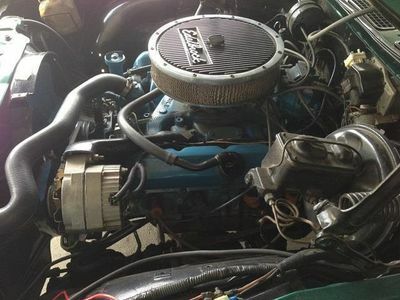 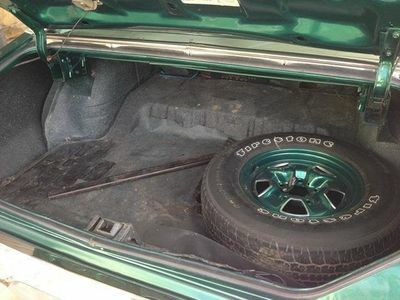 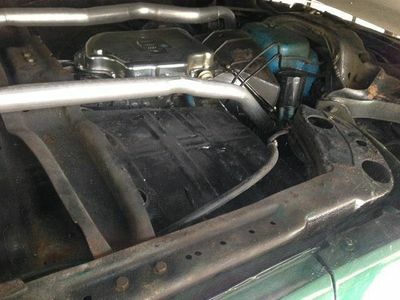 Excellent Condition, She runs and drives great and has tons of power like the Thoroughbred Big Block Muscle Car she is! 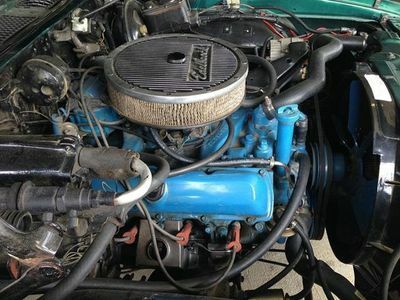 Her Recently Rebuilt Original Big Block 455 Rocket V8 is one powerful beast! 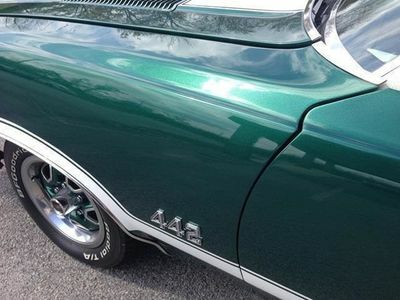 The torque and roar from this engine will put a smile on any muscle car enthusiast's face. 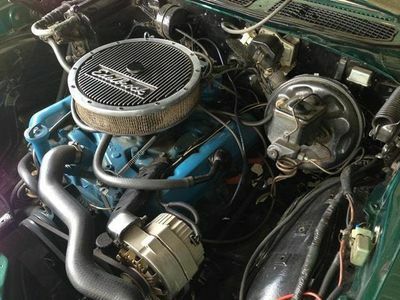 Mated with her Professionally Rebuilt factory 400 Turbo Hydra-matic transmission, you get the power you crave with the ease of operation that an automatic transmission with Power Steering, Power Brakes and Cruise Control provides. 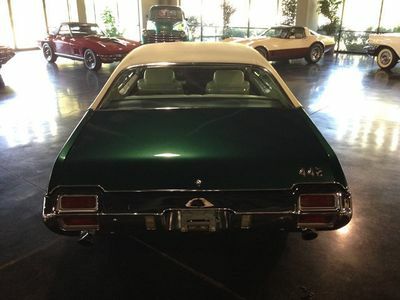 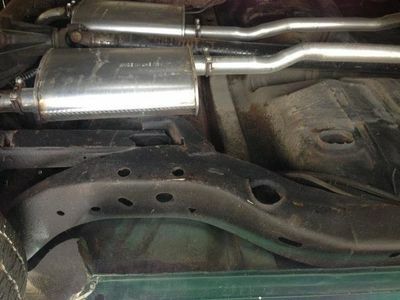 Her Suspension and Rear End were also Rebuilt. 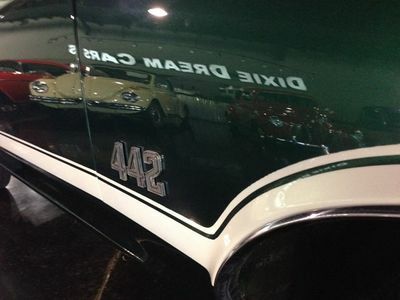 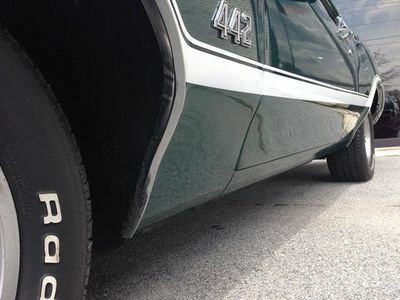 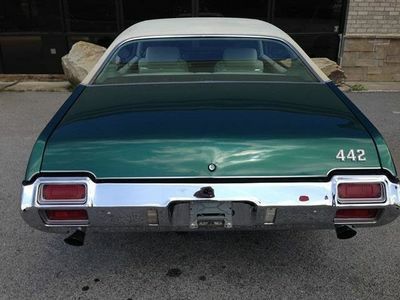 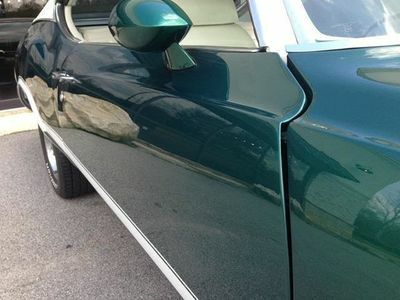 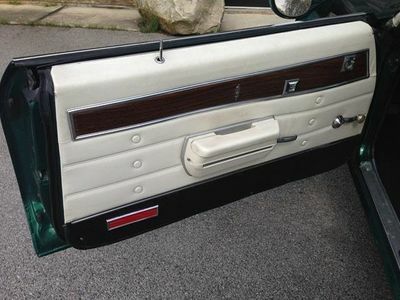 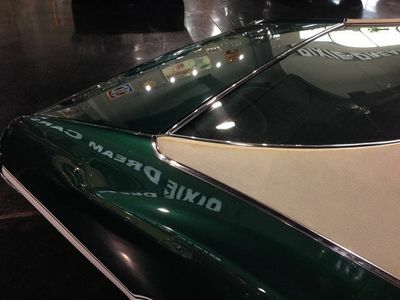 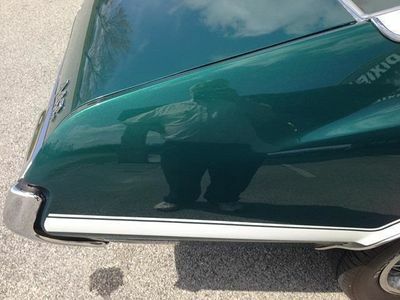 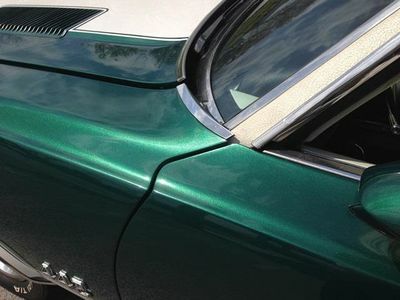 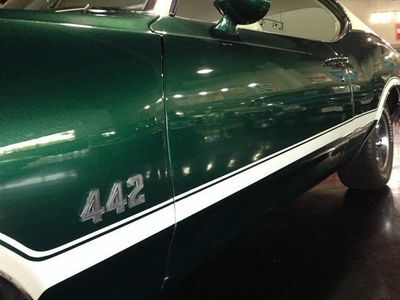 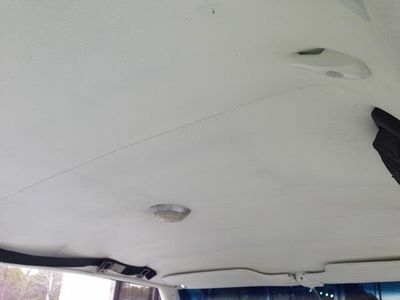 Her Dark Green Metallic Exterior with White 442 painted stripes and White vinyl top looks Fantastic! 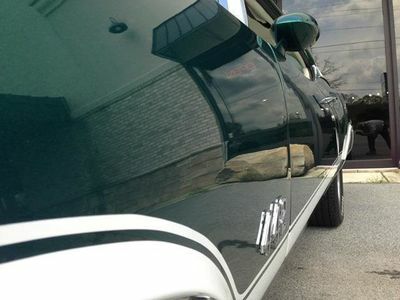 She is sure to turn some heads whether she is parked in your driveway or cruising through town. 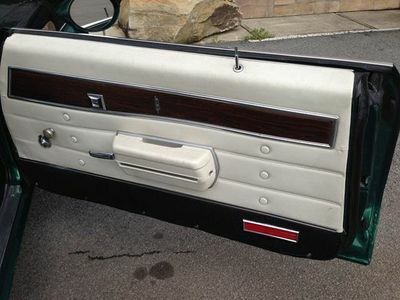 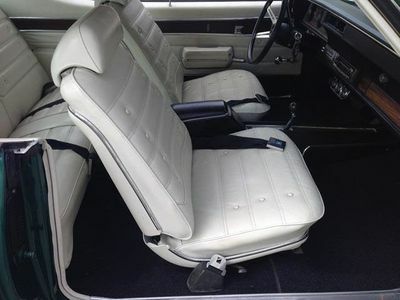 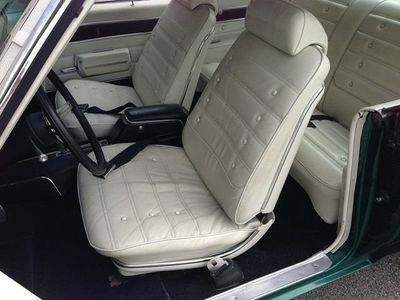 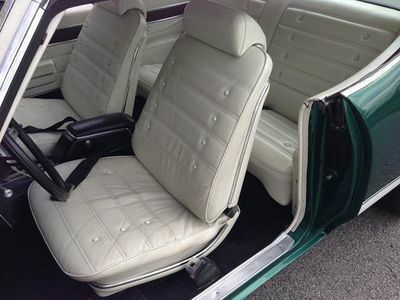 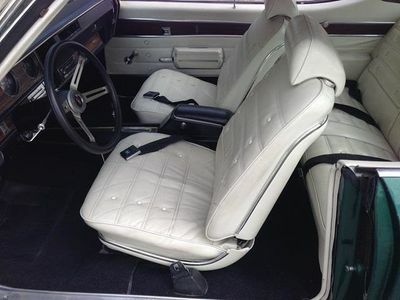 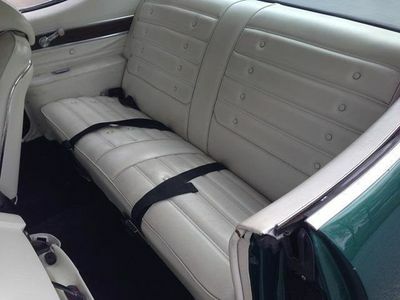 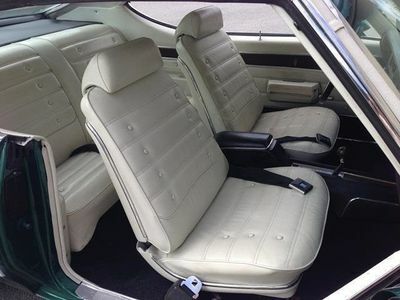 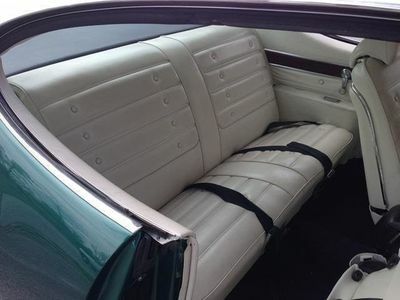 Open her up and Slide on into her well lit Sleek White Interior. 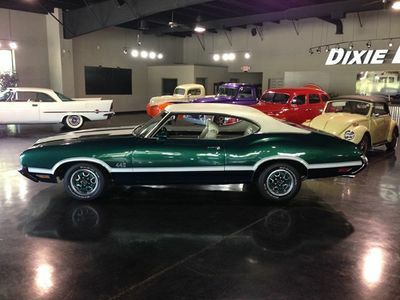 Take a look around and notice her abundance of Options. 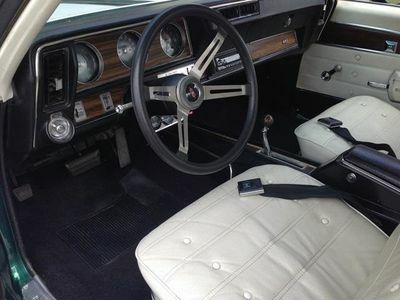 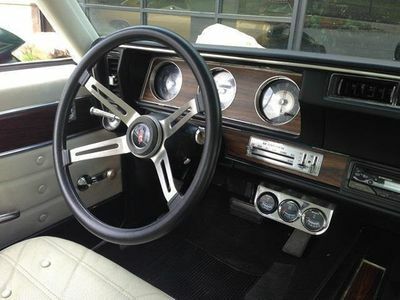 Yes, that has a Power Driver's Seat as well as Power Door Locks and a Remote Driver's Side Sport Mirror! 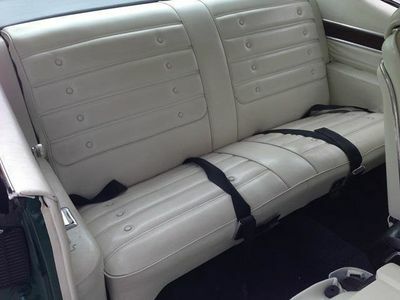 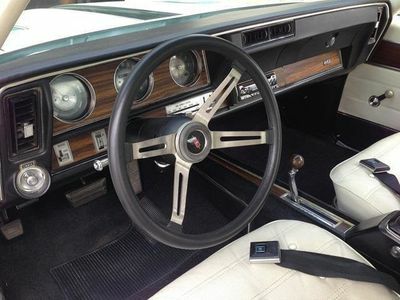 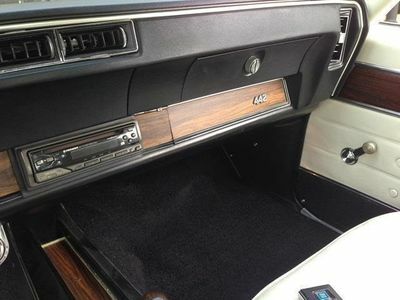 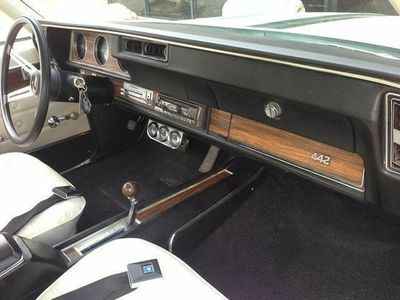 With the optional light package you can get a good look everywhere inside the cabin and the center console storage compartment, the glove box, under the dash and there is even a map light on the tilting, non-glare, inside rear view mirror. 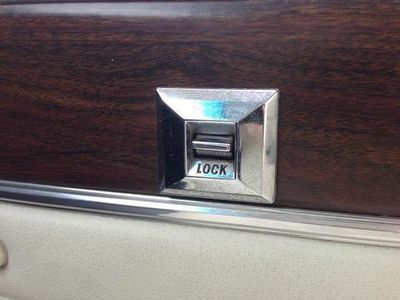 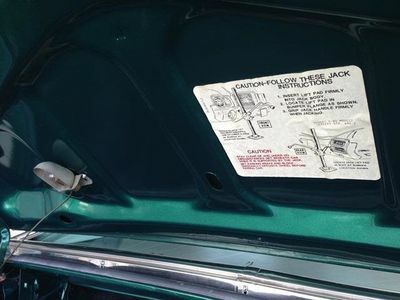 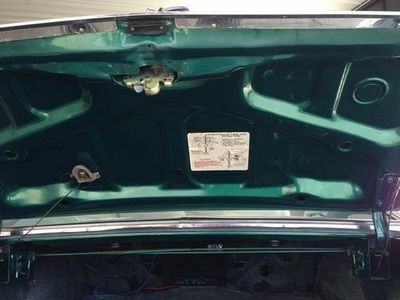 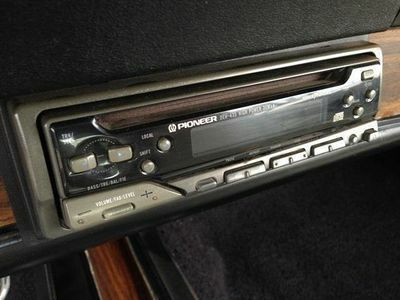 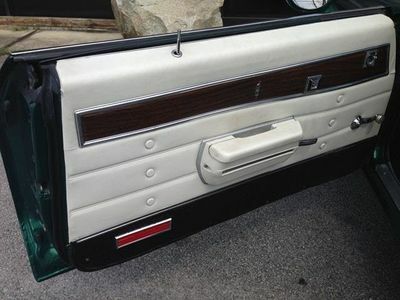 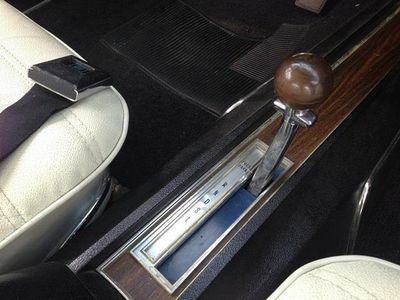 Notice the "Trunk" button inside the glove box. 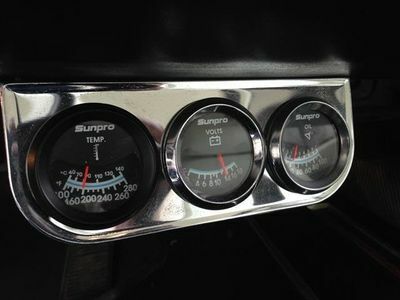 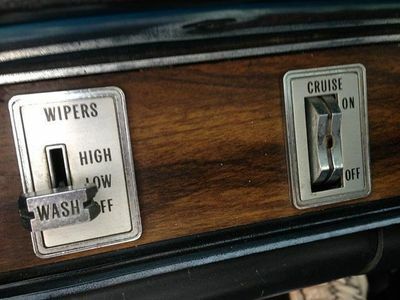 Did you see the Variable Speed windshield wipers and Cruise Control options on the dash? 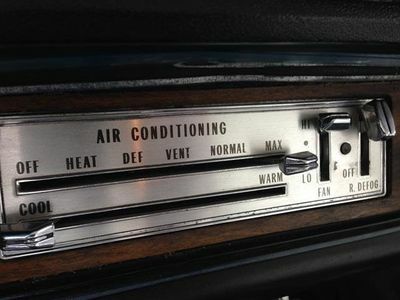 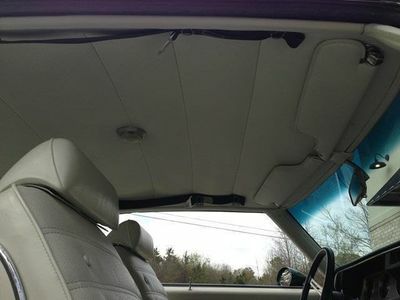 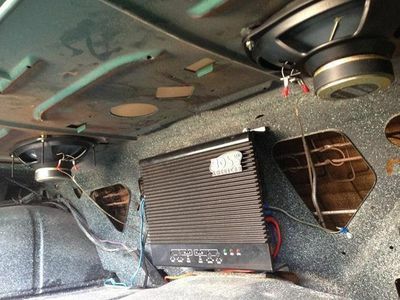 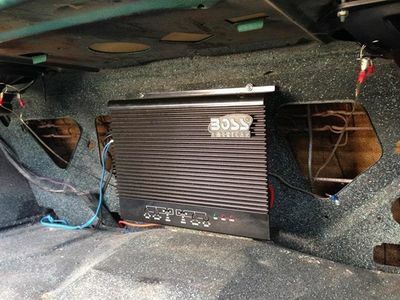 Check out the Air Conditioning panel... 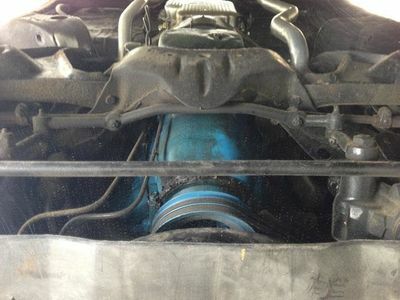 Yes, she came with factory A/C, but currently does not work. 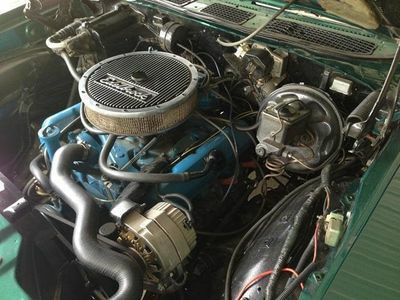 The new owner will need to add some parts to get her cooling again. 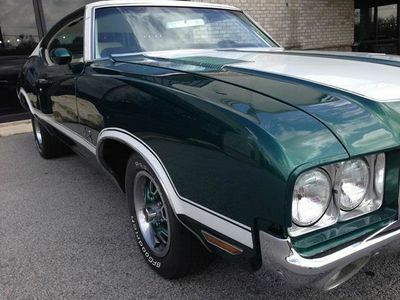 Otherwise a mechanically sound great running, sounding and great driving muscle machine! 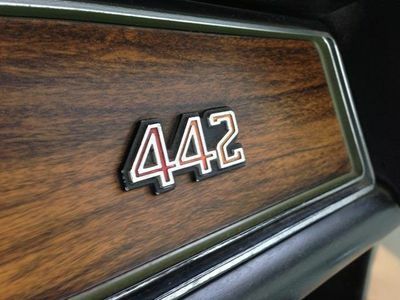 These are just a few of the many options this Incredible 442 has to offer! 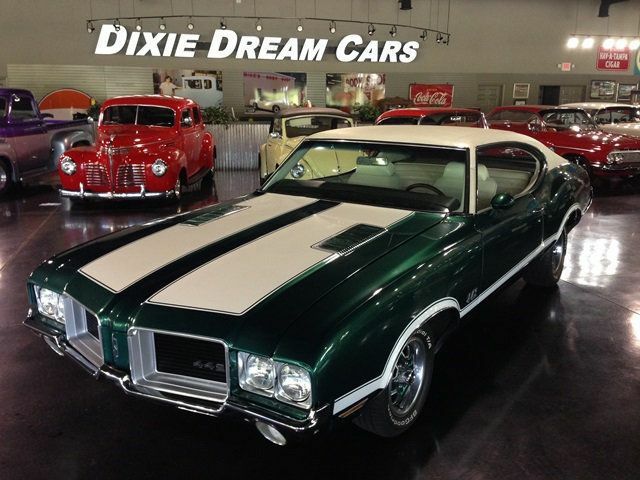 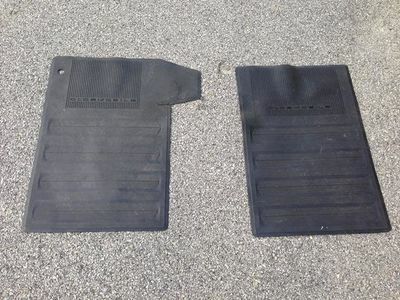 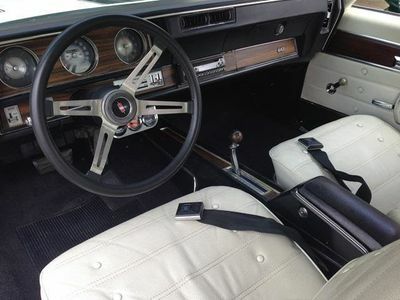 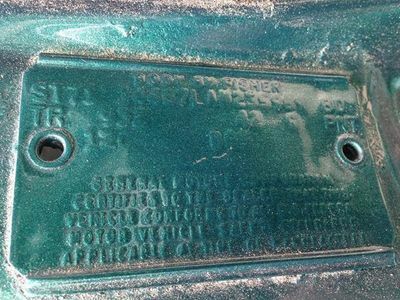 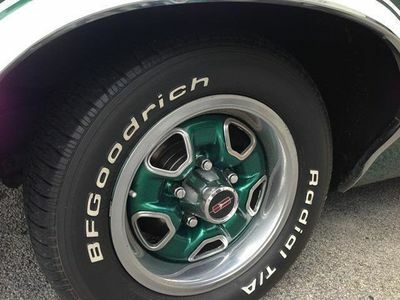 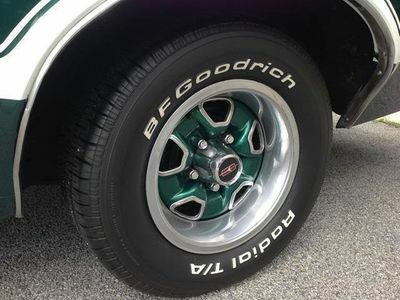 Get your piece of American Muscle Car History today! 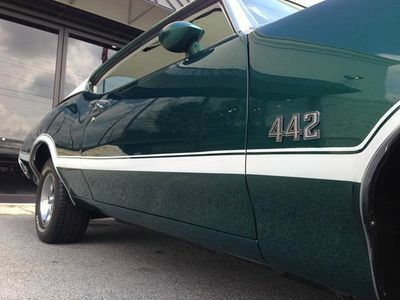 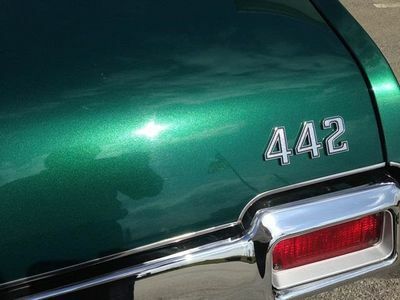 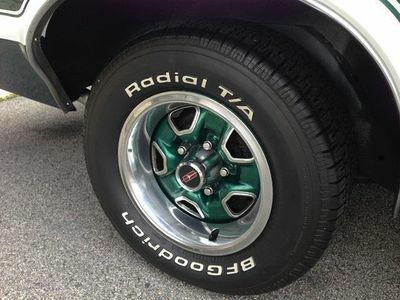 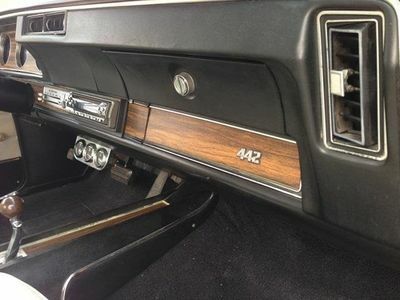 This Gorgeous 442 has everything a Real Driver should have... and quite a bit extra that makes her Stand Out in any crowd. 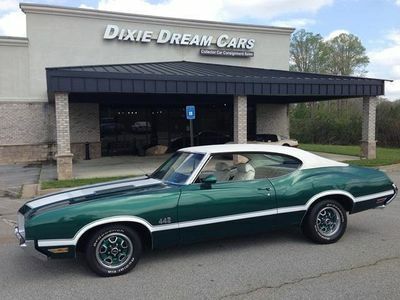 Don't miss your chance to Own Your Dream Car! 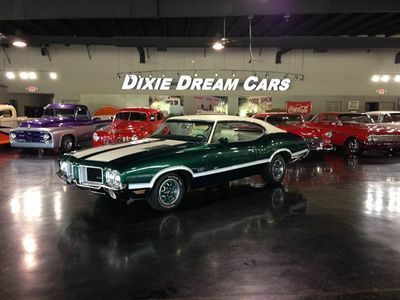 Call, Text, Email or Come on By Dixie Dream Cars Today!